Stay ahead of competition | Significantly increase your client submissions and applicant pool with our Applicant Tracking System | Say farewell to missed requisitions forever! A one stop for all your jobs at one place. Effectively track the assignments and the workflow activity. Easier for the BDM’s and recruiters to catch up on the open jobs and submissions on the open jobs and prioritize accordingly. Deal with your applicants at one place with the talent pool access. Speedy access to the candidates will give you a look at the accessible dynamic talent pool. Use the dynamic talent pool and lessen the turnaround time of the submissions. Diminish turnaround time by pipelining the applicants and presenting the resume in one go. Dispose the spreadsheets, pipeline administration enables you to adjust the dynamic talent pool basing on the skillset and location of applicant at one place. Dashboard gets to give you the dynamic view of the activity on the submissions, Interviews, offers and starts. Which will help in organizing the positions with no submissions, following up on the scheduled interviews, assessing the ROI's of the month, analysing the recruiter’s performance, and so on. Administrators can without much of a stretch can figure out which jobs create the most noteworthy ROI’s and be assured that their information is precise and refreshed. Send mass messages to countless applicants at the snap of a catch. 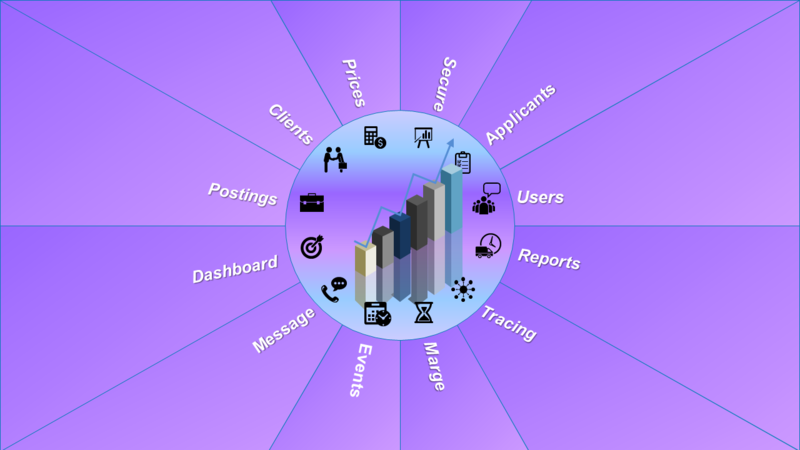 Easily track the activity of the applicant at one place.